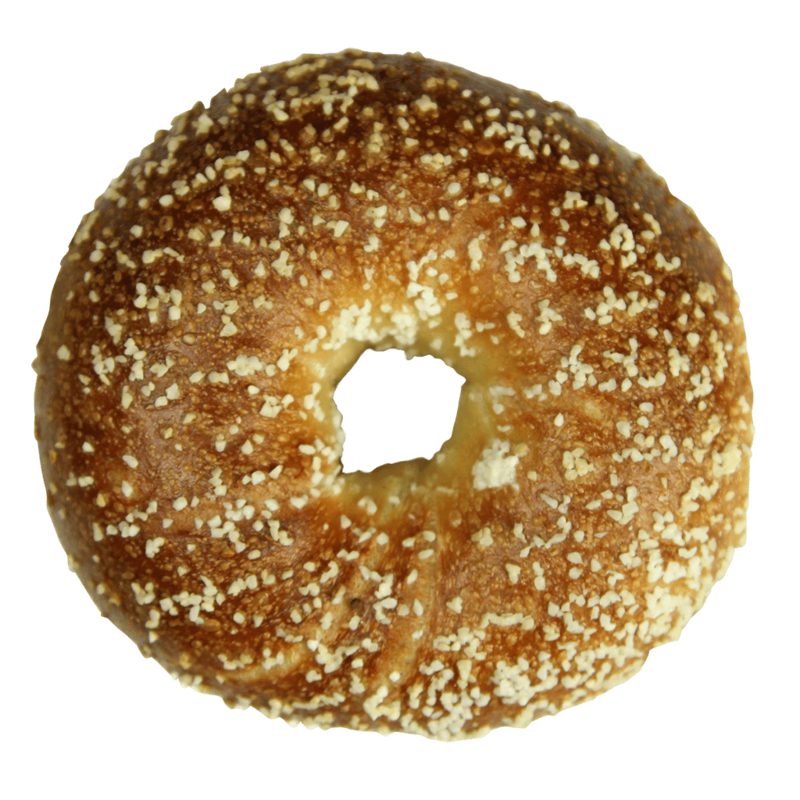 A New Yorker Bagels salt bagel is even better than a pretzel, according to many. The warm taste of the chewy bread topped with the sharp taste of the topping is what makes a salt New Yorker bagel the most excellent morning (or afternoon or after work) snack! Wrap tightly in foil and heat for an almost (but not quite) fresh off the cart taste. You can use the microwave, but you’ll wish you didn’t – that just makes the salt bagel tougher. Slice and cover with plenty of sharp cheddar cheese and some bacon bits. Stick under the broiler for a guilty midnight snack. Toast until golden brown and spread with salsa for a southwestern kick. Add some sliced jalapeños for added spiciness! Let dry out completely and toss in the blender to turn into crumbs. Use for breading veggies for deep frying, or for chicken, pork or fish. Cube and toast lightly on a baking sheet for instant croutons. Drizzle with a flavored oil first for flavored croutons! The salt bagel may seem humble, but it is one of the favorite New Yorker bagels of all time. Grab one of a cart or swipe on at the local deli for the perfect hunger quencher, any time of day – and take the extra ones home to satisfy those late night cravings.